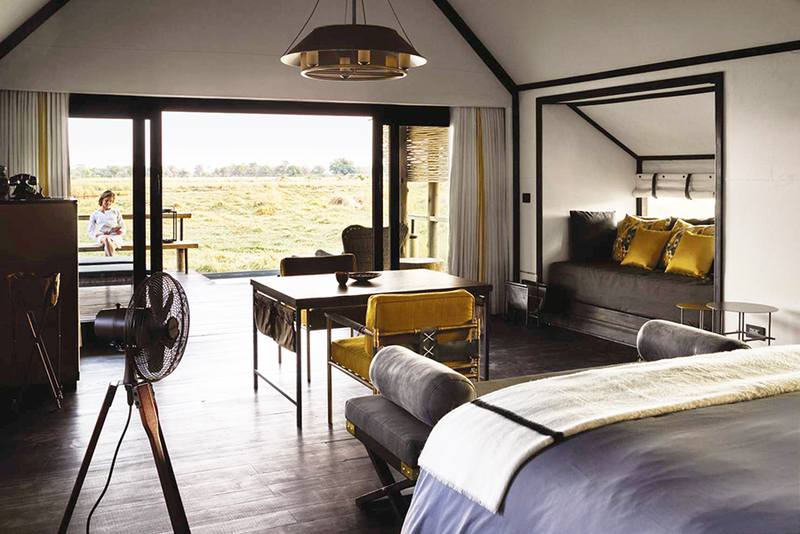 Belmond Eagle Island Lodge has reopened as the ultimate Okavango Delta water-based safari, unveiling a sleek new look following an almost total rebuild. One of Botswana’s original safari lodges, the luxury base offers unrivalled insight into one of Africa’s last remaining great wildlife habitats. Perched on a private island encircled by some of the deepest stretches of the Okavango Delta – one of the world’s largest inland water systems and a UNESCO World Heritage Site – Belmond Eagle Island Lodge offers Africa’s most water-focused safari experience, with activities including motorboat safaris, barge cruises and mekoro (local dug-out canoe) safaris. It is also the only lodge in Botswana with an on-site helicopter for private air safaris. Local artisans and materials were used throughout the renovations, which reflect the region’s natural beauty. Immersing guests in contemporary luxury at the heart of the delta, the lodge boasts just 12 tented rooms, each with its own plunge pool and outdoor deck overlooking the delta. Decorated to reflect an explorer’s base, design highlights include an over-sized bed with views of the delta, a walk-in wardrobe, luxurious bathroom with large tub, and walled outdoor shower. Fully renovated public areas now include a stylish new restaurant with wood-burning pizza oven, offering both indoor and alfresco dining, and a relaxing lounge area with artisanal-style bar and library. As night falls, guests can gather around the campfire to share their safari adventures or unwind with a sundowner at Fish Eagle Bar, whose colour palette is inspired by the indigenous bird’s distinctive white chest, brown body and yellow beak. 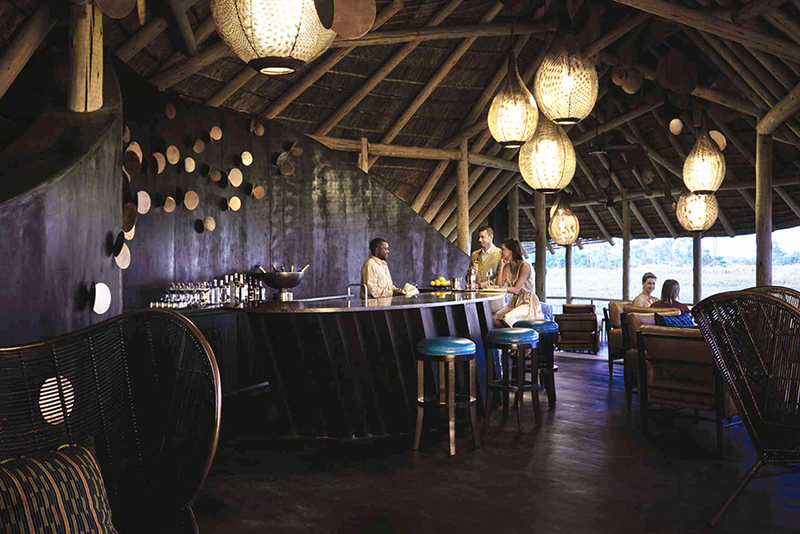 Belmond Eagle Island Lodge can be coupled with Belmond Khwai River Lodge in the Moremi Wildlife Reserve and Belmond Savute Elephant Lodge in Chobe National Park for an all-embracing Northern Botswana experience. Among the country’s first lodges, each occupies an unrivalled location offering the most spectacular views of wildlife and authentic local experiences. When combined, their unique eco-systems create a truly genuine African adventure rooted in heritage and the natural world.